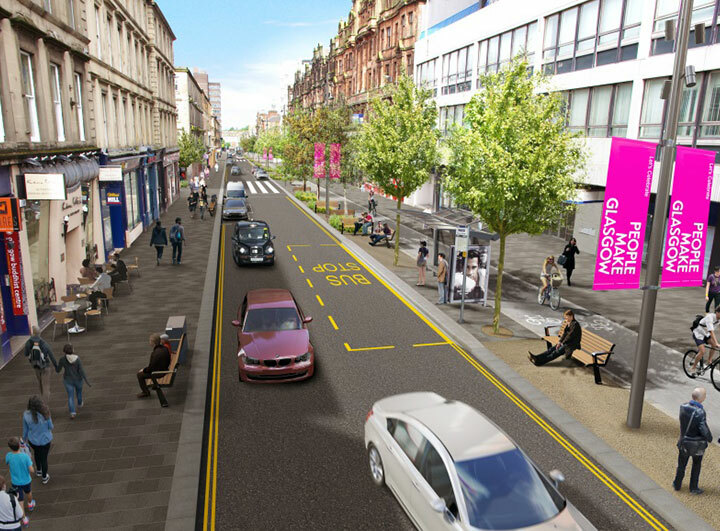 As part of the Glasgow City Region City Deal programme, Glasgow city centre has been awarded £115m in funding to deliver the Avenues programme of public realm investment. The Avenues programme was conceived as part of the Glasgow City Centre Strategy 2014-19, and it envisaged the establishment of a more people-centred environment through the delivery of an integrated network of green infrastructure and improved pedestrian and cycle priority routes to connect key areas and transport nodes and link the city centre with the surrounding neighbourhoods. City Deal has made that ambition possible, and an Outline Business Case for the city centre investment was approved by the City Deal Cabinet in December 2016. The City Centre Regeneration Team are now working up the detailed plans for the first block of Avenues which will go through design and development over the next 18 months. There will be around 5 blocks of Avenue works, each containing a number of streets and spaces. Given the scale of investment their delivery is being phased over the period to 2025. There will be engagement with city centre residents and stakeholders as we develop the plan, and this will help to identify particular areas for priority action. We’ll also be working with developers and investors to maximise the public impact of all the work activity. We’re looking for innovative ideas that are sustainable and maintainable, and that help make our city centre the best it can be. 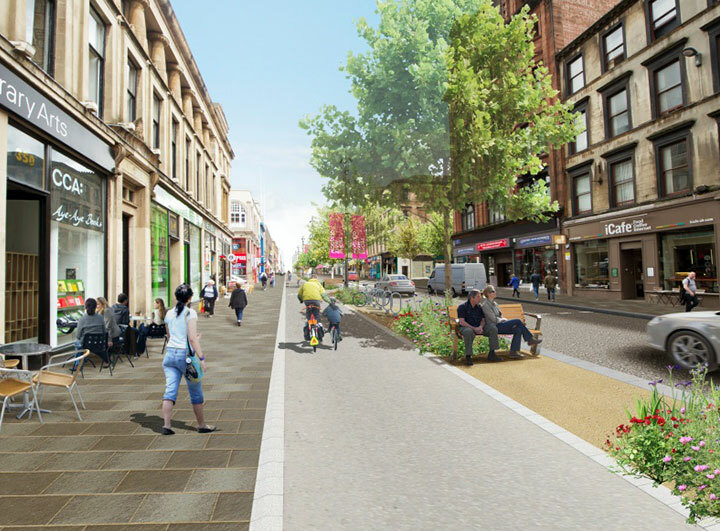 The demonstrator project, Sauchiehall Avenue phase 1 (Charing Cross to Rose Street), has been developed to show exactly what an Avenue could do to change the local environment. Construction is due to start by January 2018 and will take approximately 12-15 months. 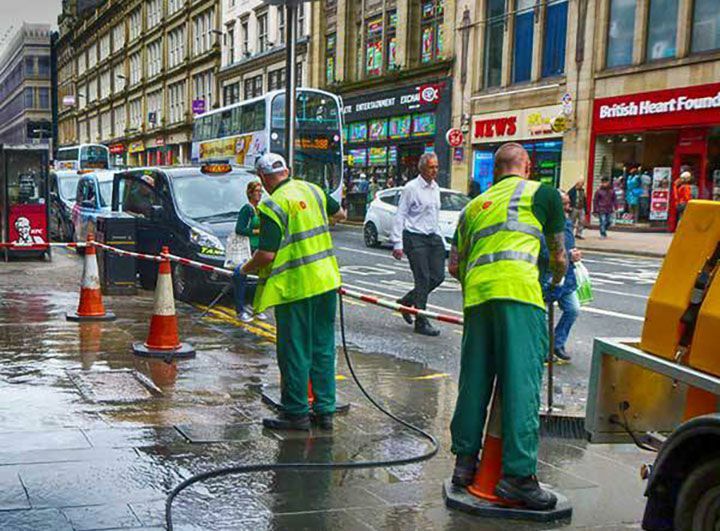 Last year, Glasgow City Council in agreement with Community Safety Glasgow delivered a City Centre Clean Streets Initiative which would run over a 4 month period. 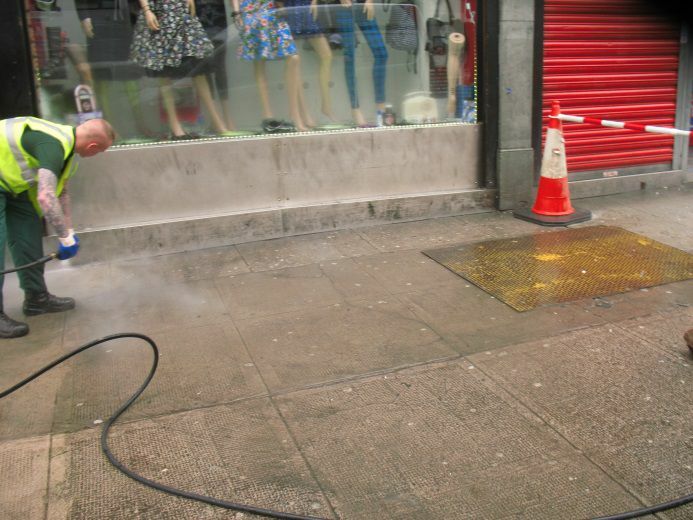 Starting in May, the aim of the Clean Streets Initiative was to deliver a specialist power wash and deep clean service in pedestrian and public areas of the city centre. The team wanted to provide visible environmental enhancements to high footfall areas of the city which would benefit businesses, retailers and the general public. 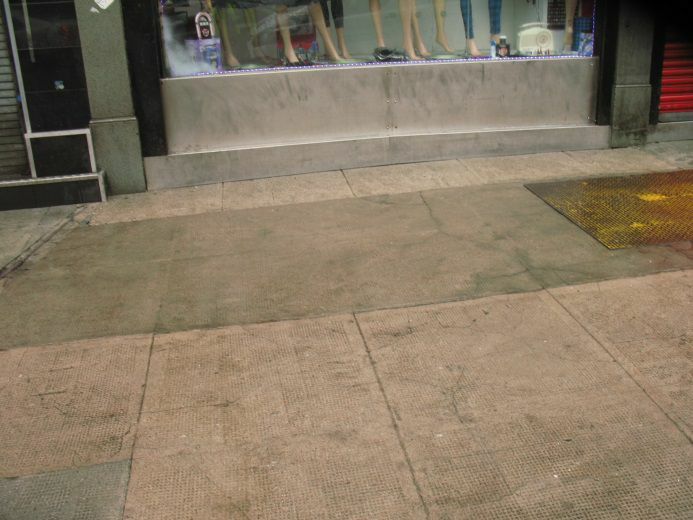 The Clean Streets team managed to clean over 7,000 sq.m of street area, including key locations like Sauchiehall Street and St Enoch Square. The team consisted of a supervisor and two trainee operatives who undertook accredited training courses and who have now successfully moved into full-time employment with Glasgow City Council’s Environmental Task Force!